Tesla (NASDAQ:TSLA) surfboards are a thing now, but good luck getting your hands on one. The Tesla surfboard was only available for purchase for just one day. The surfboards became available for purchase on Sunday and are already sold out. That’s because there was only ever a limited amount of the item. 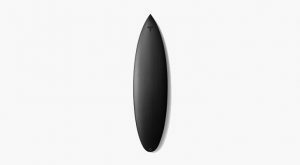 There are 200 customers that were lucky enough to scoop up a Tesla surfboard before they went out of stock. These customers didn’t get the surfboards for cheap, either. Tesla was seeking a total of $1,500 for each of the surfboards. Here’s the official description of the Tesla surfboard from the company’s website. The company also notes that the Tesla surfboard will fit comfortably inside or outside of its Model S, Model X and Model 3 vehicles. The surfboards are each being custom made and will take between two weeks and 10 weeks to make it to customers. This isn’t the first time that Elon Musk has offered a product for sale that doesn’t match up with his company’s business. He also previously sold a $500 flamethrower via his tunneling company, The Boring Company. Article printed from InvestorPlace Media, https://investorplace.com/2018/07/tesla-surfboard-sells-out/.